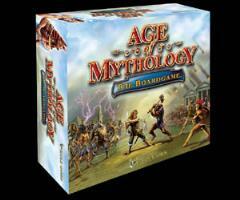 Age of Mythology Collection - 2 Base Games plus Player Expansions! This collection includes two copies of the game, as well as a lot of extra figures and components to allow for extra players! All components are distributed between two base game boxes, with more than half of the figures still on the sprues. One box is in Fair condition but most other components are EX or better.